Volkswagen will advertise during the Super Bowl for the third consecutive year with one 60-second spot at the beginning of the third quarter of Super Bowl XLVI. VW says the spot will feature the all-new Beetle, which arrived in dealerships in September. The "Bark Side" commercial teaser has dogs barking Darth Vader's theme so let's see how it sets up what we will see on Sunday. Hyundai, in its fifth consecutive year as a Super Bowl advertiser, will launch five total game-day ads on Sunday, including two pre-game spots, one in the highly rated pre-kick-off time slot and two ads during the game. 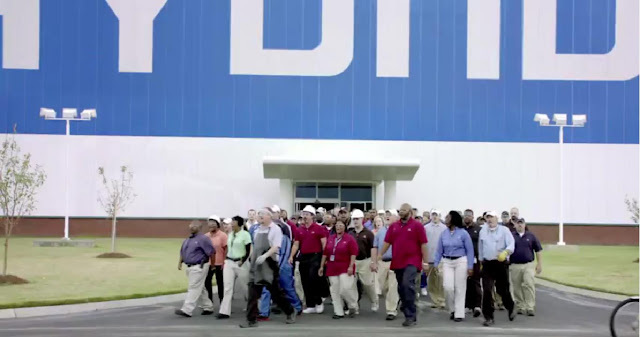 The 60-second pre-kick-off spot, "All For One", highlights Hyundai employees teamwork as they hum “Gonna Fly Now” from the movie “Rocky”. “Cheetah,” a 30-second spot slated for the first quarter, features a caged cheetah set to race a new 201-horsepower Veloster Turbo on a long stretch of open road. The car launches and the cage opens, but just a few yards into the race, the cat realizes he’s met his match as the car speeds ahead. The competitive cheetah then takes his frustration out on his handler. “Think Fast,” a 30-second spot slated for the fourth quarter of the game, introduces a character that will star in Hyundai’s social media efforts named Bob. In this vignette, a young professional is driving his boss, Bob, a seasoned business pro, in his Genesis Coupe R-Spec. Bob is about to deliver a pearl of wisdom when he falls unconscious. The young driver hits the brakes hard, then throws his Genesis Coupe into drive repeatedly, generating enough force to revive Bob, at which time he delivers his piece of advice unphased by his apparent health scare. “Faster Acting” showcases the new 429-horsepower Genesis R-Spec sedan and furthers the theme of performance which bridges the pre-game spots with the in-game ads. Toyota's Super Bowl XLVI commercial promoting the "reinvented" Camry, is a humorous take on potential day-to-day experiences and items that could have been reinvented. The "Reinvented" spot will be broadcast during the third quarter and will mark Toyota's return to Super Bowl advertising for the first time in three years. 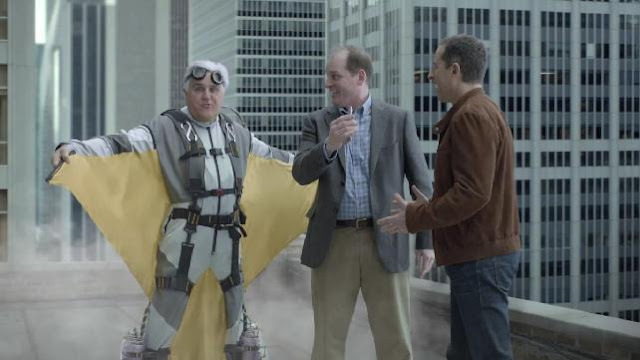 Award-winning actor Matthew Broderick is starring in a fourth-quarter Super Bowl commercial to promote the all-new 2012 Honda CR-V. "Matthew's Day Off" reprises Broderick's role in the 1986 film, Ferris Bueller's Day Off. Honda's luxury car division, Acura, for the first time, will run a commercial during the Super Bowl. This commercial, "Transactions," will air in the third quarter and feature comic Jerry Seinfeld and Tonight Show host Jay Leno who are trying to buy the first NSX supercar concept car that debuted in Detroit a few weeks ago. The BMW X3 xDrive28i powered by a 240 horsepower 3.0-liter six-cylinder engine beat the Land Rover Range Rover Evoque in Consumer Reports head-to-head road test match up. The X3 scored an 80 in CR's road test while the Evoque received a Road Test score of 60, scoring near the bottom of its category. The X3 is one of the few SUVs that feels sporty to drive, and a new eight-speed automatic transmission helps bring its fuel economy to a respectable 22 mpg overall on premium fuel. With its unique styling, the new Evoque turns heads, but it has many shortcomings, including a cramped cabin, stiff ride, artificial-feeling steering, and troubling emergency handling. The new Toyota Prius V received an Excellent road test score. No other vehicle comes close to its blend of versatility and fuel economy. This wagon version of the Prius hatchback has a big cargo area and roomy rear seat yet still returns 41 mpg overall. The Prius V, X3, and Volkswagen Tiguan are all Recommended. The Evoque and Wrangler scored too low for CR to Recommend. 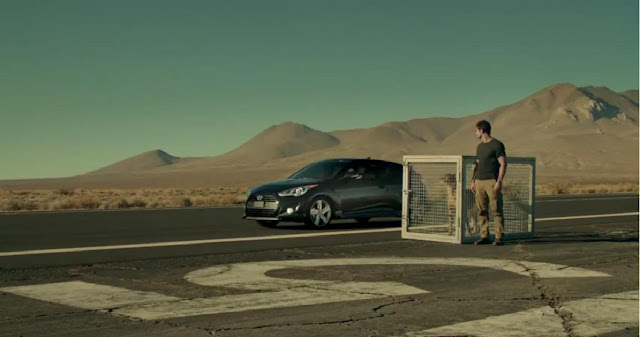 Consumer Reports only Recommends vehicles that have performed well in its tests, have at least average predicted reliability based on CR's Annual Auto Survey of its more than seven million print and Web subscribers, and performed at least adequately if crash-tested or included in a government rollover test. American Suzuki's Super Bowl commercial which emphasizes the features of the 2012 Kizashi sport sedan is entitled "Sled" and is a fun, simple tale of a dog sled being traded in for a car. 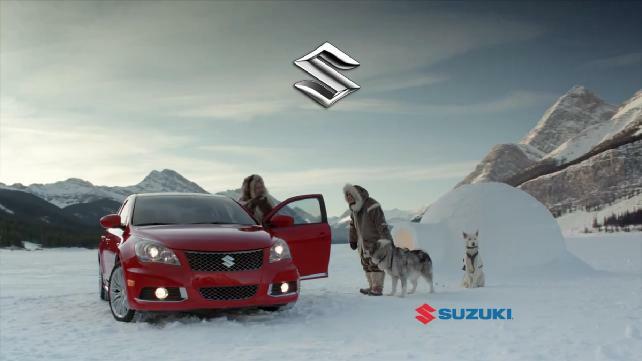 "Sled" will continue to run following the Super Bowl in conjunction with a new Suzuki advertising campaign scheduled to debut in March. Check out these headlights! Coming at you - Audi's 60 second Super Bowl XLVI commercial, which features a vampire theme, airing in the first break after kick-off promoting Audi's signature LED headlights on the new 2013 Audi S7. 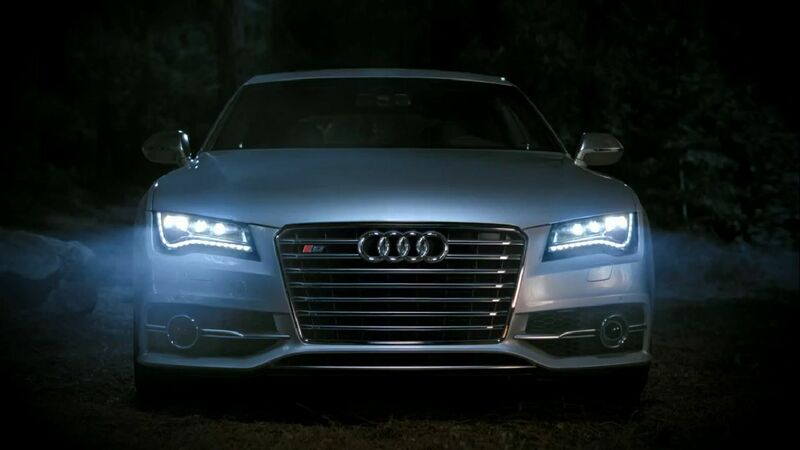 Audi LEDs - at 5,500 Kelvin produce the closest recreation of daylight available - good riddance vampires! See the ad on YouTube now. Chevy Code 130R & Tru 140S Concepts Designed in Car Capitol L.A. The Chevrolet Code 130R concept (pictured on the left) is a four-seat rear-wheel drive coupe with a turbocharged engine to be tuned to work in tandem with eAssist technology that shuts off the engine at stops, recapturing braking energy, and smoothing torque during acceleration. 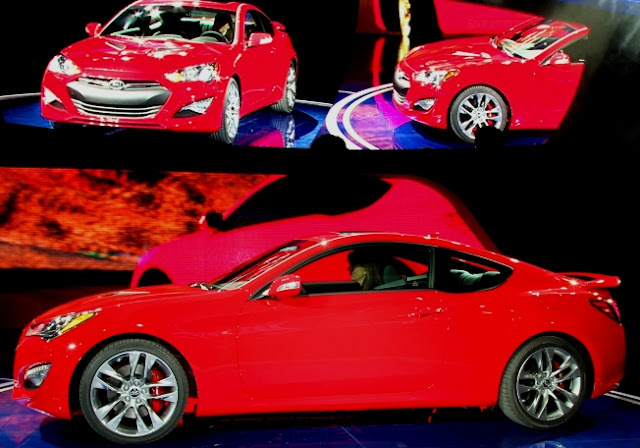 The Chevrolet Tru 140S concept (pictured on the right) is a front-wheel-drive, “affordable exotic” four-seat sporty coupe based off the same platform as the Chevrolet Cruze and the Chevrolet Volt electric vehicle with extended range. Tru 140S designers want to demonstrate technologies typically found in more expensive cars, including direct injection and a starter-based stop-start technology, balancing internal combustion and electrification to deliver high value and improved fuel economy. The concepts, designed at the GM North America Advanced Design studio in Los Angeles, are aimed at younger buyers who say they want sedan-sized functionality in performance coupe form that seats four passengers, interior connectivity and convenience featuring innovative storage, WiFi, smart phone integration with Chevrolet MyLink and heads-up display, 40 MPG with a 150 horsepower 1.4 liter Turbo Ecotec engine and with a possible production price range in the low $20,000s. Concepts are becoming reality because of the high research and development costs so let's see if these little Chevys deliver on their promise. Labels: Chevy Code 130R and Tru 140S Concepts Designed in Car Capitol L.A. The 2013 Cadillac ATS, built on the legacy of the CTS-V Series, comes with a standard 202 horsepower 2.5 liter four-cylinder engine and choices of a 270 horsepower 2.0 liter turbocharged four-cylinder engine or an estimated 320 horsepower 3.6 liter V-6. The ATS, with available all-wheel drive, uses the first five-link independent suspension in a Cadillac to help keep the tires planted on all surfaces and during all hard-cornering maneuvers. Engineers focused on making the Cadillac ATS one of the lightest cars in the compact luxury segment with a curb weight of less than 3,400 pounds which helps deliver peak highway fuel economy of more than 30 mpg. The 2013 Cadillac ATS goes on sale during the second half of 2012. The all-new 2013 Buick Encore luxury small crossover with room for five is powered by a 140 horsepower Ecotec 1.4L turbocharged four-cylinder engine and six-speed automatic transmission. The Encore has 100.6-inch wheelbase and is 60.6-inches wide. With up to 48.4 cubic feet of storage space with the rear seat folded, the Encore offers substantial cargo capacity. Features include 10 standard air bags (driver and front passenger knee air bags), remote vehicle start, rainsense wipers, Bose premium sound system and Standard StabiliTrak electronic stability control. 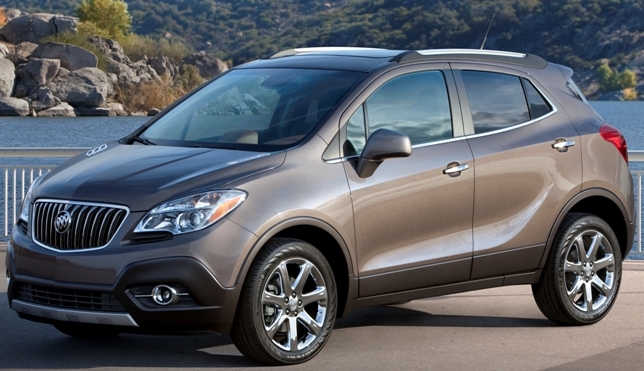 The Buick Encore will begin arriving at U.S. Buick dealerships in the first quarter of 2013. 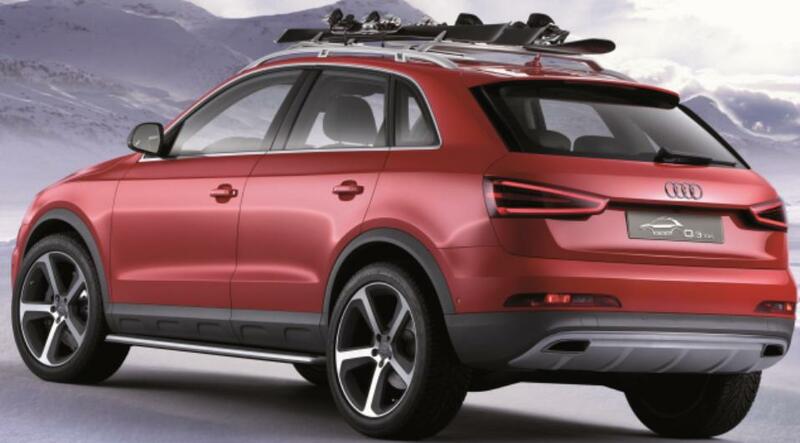 Audi had many debuts last week including the Q3 Vail SUV, the A4, S4, A5, S5, RS 5 and A8 3.0T sedans and the allroad that will replace the A4 Avant starting in the 2013 model year. The Audi Q3 Vail compact SUV features a 314 horsepower 2.5-liter five-cylinder TFSI engine with direct injection and turbocharging transferred to the quattro permanent all-wheel drive system via a seven-speed S tronic transmission. For winter sports fans the side wall of the trunk houses a charging station that can be used for storing flashlights and charging them inductively at the same time. The same technology is used for the Thermos bottle located in the cup holder between the front seats which is able to chill or warm drinks. In addition to LED lighting, the flashlights incorporate an infra-red heating element that can be used for warming your hands or a pair of ski boots. The redesigned Audi A4 and S4 for 2013 model year features two engines the 2.0 liter TFSI engine with 211 horsepower and 258 lb-ft of torque for the A4 and allroad and the 3.0 liter TFSI engine with 333 horsepower and 325 lb-ft of torque for the S4. The new Audi drive select is a system that adjusts the vehicle's transmission shift characteristics, throttle response, and dynamic steering. On the S4, the Audi drive select system can also control the adaptive damping suspension and quattro sport differential. Audi drive select offers 27 distinct driving configurations, allowing drivers to configure vehicle drive characteristics exactly to their liking with their choice of Comfort, Auto, Dynamic or Individual settings. The new Audi allroad quattro permanent all-wheel drive wagon, built on the A4 platform, makes a return after a 6 year absence replacing the A4 Avant starting in the 2013 model year featuring the 211 horsepower 2.0 liter TFSI engine with 258 lb-ft of torque mated to a standard 8-speed tiptronic transmission making it faster and more fuel efficient than its predecessor. The new allroad is 185.9 inches in length with a wheelbase of 110.4 inches. Compared to its predecessor, the new allroad has a longer wheelbase for ride comfort and more headroom for front passengers. The allroad has 27 cubic feet of cargo space and a spacious 50 cubic feet of cargo space with the seats folded down. The interior of the new allroad features a standard Panorama sunroof, 8-way power seats, and Aluminum Trigon inlays. An optional power tailgate is available. The 2013 Audi A5 features the 2.0 TFSI engine and provides 211 horsepower and 258 lb-ft. of torque. The A5 Cabriolet comes standard with front-wheel drive and multitronic transmission, while the A5 and S5 coupe has quattro standard and six-speed manual, The S5 Cabriolet has quattro standard and is mated to the seven-speed S tronic transmission. 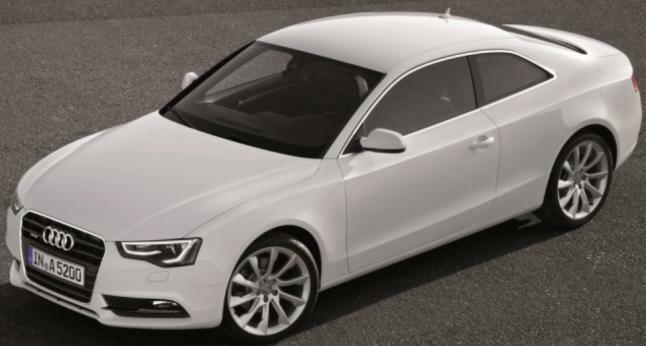 New for the 2013 model year, the S5 coupe features the 333 horsepower 3.0T V6 engine, which replaces the 4.2 liter V8. Want more power? The 2013 Audi RS 5 features a 450 horsepower 4.2-liter V8 mated to a seven-speed S tronic transmission with launch control program and an electronically-governed top speed of 174 mph. The 2013 Audi A8 flagship sedan now offers the 333 horsepower supercharged V6 engine with standard quattro all-wheel drive. The Nissan Pathfinder Concept, one of 20 new or redesigned products Nissan plans to introduce in this market within the next two years, has an all-new streamlined look. 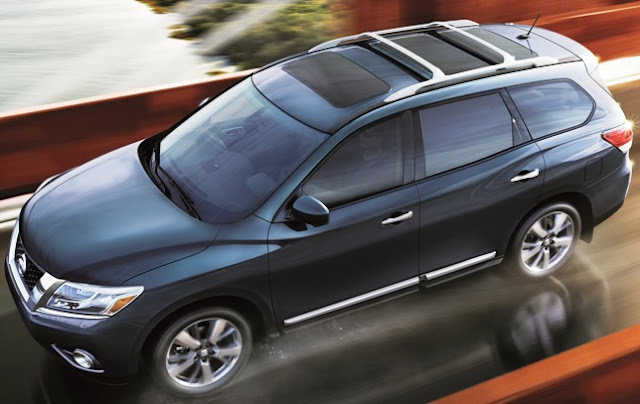 The fourth generation 7-passenger Pathfinder has a V6 engine and next-generation Continuously Variable Transmission projected to deliver a 25 percent increase in combined City/Highway fuel economy (over the previous V6-equipped design). In addition to offering an intuitive four-wheel-drive system, the new Pathfinder will also have towing capacity competitive with the leaders in the segment. The next-gen Pathfinder goes on sale in Fall 2012 at Nissan dealers nationwide. The new Jetta Hybrid uses a turbocharged gasoline engine mated to a zero-emissions electric motor with a seven-speed dual-clutch automatic transmission allowing acceleration of 0-60 mph in less than 9.0 seconds and achieving an estimated combined fuel economy figure of 45 mpg. The Jetta Hybrid can be driven in pure electric mode at speeds of up to 44 mph. 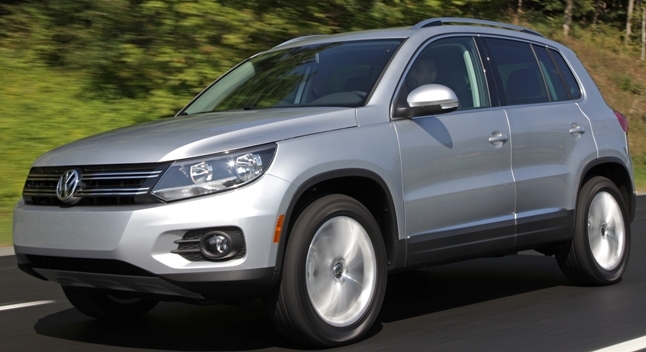 The downsized four-cylinder engine develops 150 horsepower and 184 pound-feet of torque. A lithium-ion battery supplies the energy to the electric motor. The compact 220-volt, 1.1 kWh battery is integrated behind the rear bench seat and weighs less than 80 lb. The battery consists of 60 individual cells with a combined energy capacity of 5 Ah. As in the Touareg Hybrid SUV, the Jetta Hybrid features a clutch that decouples the gasoline engine from the drivetrain when in pure electric drive or coasting modes. Three trims will be offered for the Jetta Hybrid. Standard features include Bluetooth® technology, LED taillights, SiriusXM® satellite radio, special 15-inch aluminum-alloy wheels, and a unique Hybrid body kit and badging. Available premium features will include bi-xenon headlights and LED Daytime Running Lights, a power driver's seat, heatable front seats, the RNS 315 navigation system, a rear-view camera and Volkswagen's exclusive Fender® Premium Audio System. The 2013 Jetta Hybrid will launch in the North American market at the end of 2012. The redesigned 2013 Hyundai Genesis Coupe now sports more aggressive coupe styling with the 348 horsepower 3.8-liter V6 engine receiving sophisticated direct-injection technology and the 274 horsepower 2.0-liter turbocharged engine upgrading to a more precise twin-scroll turbocharger and larger intercooler. Automatic transmissions for these two models now have 8-speeds, with paddle-shift SHIFTRONIC® manual-shifting capability. Hyundai’s proprietary telematics platform, Blue Link®, is now available. 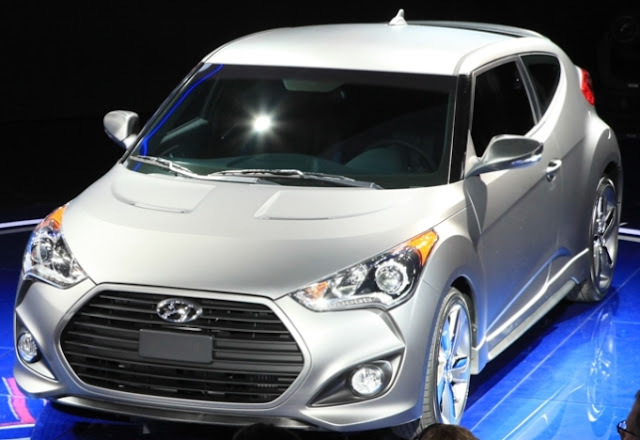 The all-new 2013 Hyundai Veloster Turbo powered by a new 201 horsepower 1.6-liter Turbocharged-Gasoline Direct Injection (T-GDI) engine and in-house six-speed automatic or manual transmission arrives in the Summer of 2012, facing off against competitors such as the Volkswagen GTI, Honda Civic Si and Mini Cooper/Clubman S with a better power-to-weight ratio than all of them, and a unique sport-tuned steering and suspension hardware set. All Velosters feature six airbags—including dual front, front seat-mounted side-impact, and front and rear side curtain airbags. The Veloster Turbo is mated to a six-speed automatic transmission with steering wheel-mounted paddle-shifter and and Shiftronic® controls rather than the base Vesloster’s EcoShift DCT. The all-new Ford Fusion offers gasoline, hybrid and plug-in hybrid versions in S, SE and range-topping Titanium series. The 1.6-liter four-cylinder EcoBoost engine is expected to deliver 26 mpg in the city and 37 mpg on the highway. The 2.0-liter EcoBoost engine paired with a paddle-shifted six-speed SelectShift Automatic™ transmission, available 19-inch wheels and tires, and all-wheel drive with the ability to send additional torque to the rear is the Fusion performance option. Fusion's new technology features can help drivers maintain proper lane position, adjust vehicle speed to changing traffic conditions, identify suitable parking spaces and help park, even aiding drivers backing out of parking space where visibility is obstructed. Fusion also offers the latest version of MyFord Touch®, allowing a driver to interact with vehicle systems through voice control, a touch screen tap or a conventional button. The Fusion Hybrid has all-new lithium-ion batteries that save weight and generate more power than previous nickel-metal hydride batteries, while raising maximum speed under electric-only power from 47 mph to 62 mph. Fusion Hybrid also features an all-new 2.0-liter Atkinson-cycle four-cylinder gasoline engine, significantly downsized from the previous 2.5-liter unit while maintaining performance standards. This innovative powertrain is anticipated to deliver best-in-class fuel economy of 47 mpg in city driving and 44 mpg on the highway. The new Lincoln MKZ Concept strongly hints at the production model arriving in dealerships later this year, as well as Lincoln's design future. A panoramic glass roof spans uninterrupted from the windshield to the top of the backlight. Integrated into the sedan's aluminum and boron steel superstructure, the fixed-glass expanse extends to the side roof rails of the cabin, creating an airy, open interior. The Lincoln MKZ Concept's interior features include push-button transmission gear selection, an open, tiered center console and liquid crystal instrumentation. The reconfigurable 10.1-inch Thin Film Transistor (TFT) LCD positioned ahead of the driver operates with the latest version of MyLincoln Touch™ as does the nearly flush-mounted center 8-inch LCD touch screen. 2013 Porsche Boxster open-top two-seat car receives an entirely new lightweight body and a completely revamped chassis weighing less than the previous generation and rides on a longer wheelbase and a wider track. The new Boxster base model delivers 265 horsepower from a 2.7 liter displacement, 10 more horsepower than its larger displacement predecessor and it's also up to 15 percent more fuel-efficient than previous models on the European cycle. Technically, it is now based on the 3.4-liter engine of the Boxster S which delivers 315 horsepower, 5 horsepower more than before. Both models feature a manual six-speed gearbox as standard with the seven-speed PDK available as an option With gear changes without interruption to the power flow, the Boxster sprints from zero to 60 mph in 5.4 seconds, the Boxster S in 4.7 seconds. The new Boxster models are expected in U.S. showrooms in early summer 2012. The basic list price will be $49,500 for the Boxster and $60,900 for the Boxster S, not including a $950 destination charge. The 911 Porsche Carrera Cabriolet with a completely new roof concept and lightweight design ensures less weight and lower fuel consumption. As with the Coupés, the new Cabriolets start with the 911 Carrera, powered by a 350 horsepower 3.4-litre six-cylinder engine and the 911 Carrera S with 400 horsepower 3.8 litre flat engine. The all-new 2013 Dodge Dart, with Alfa Romeo DNA and fuel-efficient powertrains will have a starting U.S. Manufacturer's Suggested Retail Price of $15,995 and will be available in five trim levels: SE, SXT, Rallye, Limited and R/T. 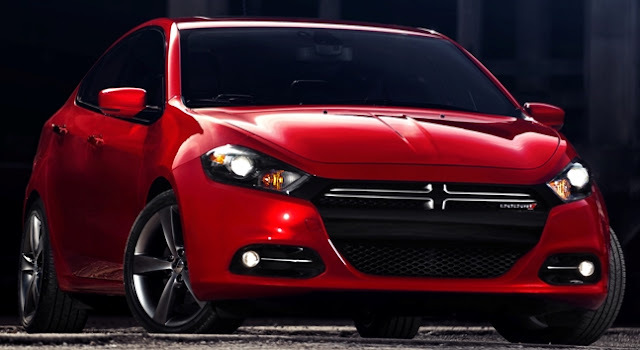 The 2013 Dodge Dart will be powered a new 160 horsepower Tigershark 16-valve 2.0-liter engine, a 160 horsepower 16-valve 1.4-liter MultiAir® Intercooled Turbo engine and a new 184 horsepower Tigershark 16-valve 2.4-liter MultiAir 2 four-cylinder engine combined with three transmission choices: six-speed manual, six-speed automatic or six-speed dual dry clutch transmission. Production of the 2013 Dodge Dart will begin in the second quarter of 2012. Acura unveiled three new vehicles last week: the ILX luxury compact sedan concept; a prototype of the 2013 RDX crossover sport utility vehicle; and the NSX Concept. 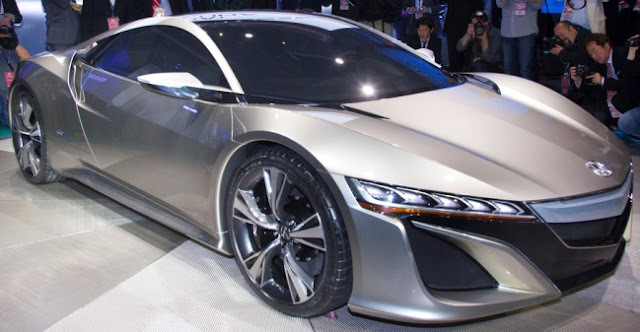 Acura also announced the next-generation NSX will feature Acura's new Sport Hybrid SH-AWD® technology. The lineup of Acura ILX models will include an entry-level model powered by a 2.0-liter inline 4-cylinder engine; a high-performance model with a 2.4-liter inline 4-cylinder engine paired with a six-speed manual transmission; and a 1.5-liter gasoline-electric hybrid powertrain, Acura's first-ever hybrid offering. The 2013 Acura RDX, the second generation of Acura's five-passenger crossover SUV, scheduled to launch in Spring 2012, will have as standard equipment a 3.5-liter V-6 engine that produces 273 horsepower— 33 more than the outgoing model and is mated to a 6-speed automatic transmission with a new lock-up torque converter. The RDX front-wheel-drive models anticipated EPA fuel economy ratings of 20 mpg in the city and 28 mpg on the highway. As with the ILX, the 2013 RDX will receive a host of new technologies including Pandora internet radio interface, SMS text message feature, a smart entry keyless access system, pushbutton start, and a three view rear camera. An available Technology Package will provide a full complement of relevant technologies, including AcuraLink® Satellite Communication System, Acura Navigation System with Voice Recognition™, AcuraLink Real-Time Traffic with Traffic Rerouting™, and AcuraLink Real-Time Weather™ with radar image maps. New for 2013, the even more advanced navigation system utilizes a hard disk drive (HDD) with 60 gigabytes of storage capacity – including 15 gigabytes that can be allocated for music storage. The Acura NSX Concept has a 2 Electric Motor Drive Unit with a bilateral torque adjustable control system, the all-new hybrid all-wheel-drive system can instantly generate negative or positive torque to the front wheels during cornering. The new Acura supercar, expected to debut in the next three years. The all-new ninth-generation 2013 Honda Accord Coupe Concept will feature three all-new powertrains: the new Earth Dreams 2.4-liter, 16-valve DOHC i-VTEC® four-cylinder engine featuring direct- injection engine that will be paired to a 6-speed manual transmission or a new Continuously Variable Transmission (CVT) producing more than 181 horsepower and 177 lb-ft of torque. The 2013 Accord Sedan and Accord Coupe will also be offered with a re-engineered 3.5-liter, 24-valve, SOHC, i-VTEC V-6 engine, paired to a new 6-speed automatic transmission or an available 6-speed manual transmission. The 2013 Accord lineup will also feature the first application of a new two-motor plug-in hybrid system to the Accord Sedan. The Honda two-motor hybrid system moves continuously through three modes - all-electric, gasoline-electric and direct-drive - to maximize driving efficiency and fuel economy. In all-electric mode, the 2013 Accord Plug-In Hybrid will use a 6 kilowatt-hour lithium-ion battery and a powerful 120 kW electric motor to achieve an all-electric range of approximately 10-15 miles in city driving scenarios and a top speed of 62 mph. Fully recharging the battery will take less than four hours using a 120-volt, outlet and less than 1.5 hours using a 240-volt charger. In the gasoline-electric hybrid mode, the Accord is powered by its fuel-efficient 2.0-liter, i-VTEC inline four-cylinder, Atkinson cycle engine, paired with an electric Continuously Variable Transmission (E-CVT). For more efficient high-speed cruising, the Accord Plug-In Hybrid can engage in a direct-drive mode, in which only the engine drives the front wheels. 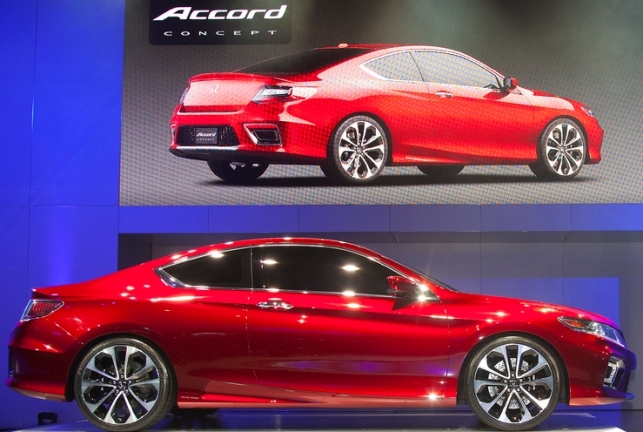 The Accord Plug-In Hybrid will launch next winter. 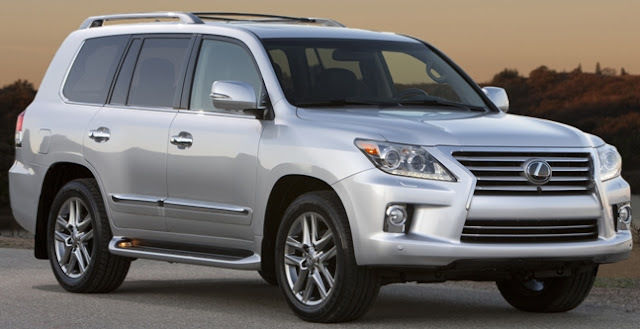 The 2013 Lexus LX 570 eight-passenger SUV has a new Lexus spindle grille, new 20-inch alloy wheel design, upgraded interior and gets a new look at both the front and rear. New LED daytime running lights complement new headlamp design and new larger fog lamp bezels. Taillamps are also updated, while the rear license plate surround gets a revised look and the tow hitch cover is more integrated. Both front and rear bumpers are refreshed, and the rear bumper protector is enhanced by a stainless steel accent. Turn signals have been added to the side mirrors, and wider bodyside moldings sport a new look. The LX 570 has a 383 horsepower 5.7-liter V8. The Lexus LF-LC hybrid 2+2 sport coupe concept is a new design driver-focused concept showcasing the future design direction for Lexus. The front-engine, rear-wheel drive LF-LC features Advanced Lexus Hybrid Drive with a glass roof and a lightweight, cantilevered pillar with a glass-to-glass juncture. Overall, the greenhouse design enhances driver visibility while adding to the sleek lines of the car. Twin 12.3-inch LCD screens provide information and navigation display. The Toyota NS4 advanced plug-in hybrid concept is a mid-sized concept with a Human-Machine Interface providing a user interface built around a multi-touch screen with the look and feel of a smartphone. The NS4 introduces a next generation Pre-Collision System with lane departure, rear-end and pedestrian collision avoidance technologies designed to predict collisions under certain circumstances and help avoid them. This PCS uses millimeter-wave radar and stereo cameras mounted on the front of the vehicle to detect and react to lane departure, pedestrians and other vehicles. In addition, the system emits near-infrared beams to enhance PCS recognition at night helping to avoid collisions with other vehicles, road-side obstructions, and pedestrians by applying the brakes and manipulating steering. Adaptive Driving Beam headlights help prevent vision-impairing glare to oncoming drivers and pedestrians. Using a camera mounted behind the front grill and partial shielding inside the headlights, this feature allows drivers to maintain near-high beam illumination to improve nighttime visibility. Four new glass technologies are integrated into the windshield and front triangle, door, and rear windows to improve driver visibility, gas mileage and electric driving mode mileage efficiency: Hydrophobic coating – Fluorine coated glass causes rain drops to form into semi-spherical shapes for improved visibility and rain drop elimination (also used on the roof solar panel), Anti-fog film – High performance resin material with anti-fogging characteristics and increased durability, High ultraviolet (UV) absorbing inner-layer – Removes 99 percent of harmful UVA and UVB rays, Anti-solar film with radio-wave transparency – Reduces the internal vehicle temperature and improves electronic device functionality. The NS4 concept is a dedicated plug-in hybrid, separate from the Prius family, for potential global market introduction by 2015. General Motors reported total U.S. sales of 234,351 vehicles in December, up 4.7 percent compared with December 2010. Sales for the calendar year were 2,503,820, up 3.7 percent. Ford Motor Company U.S. sales in December were 210,140, a 10 percent rise over 2010 and for the full year sales reached 2,148,806, an 11 percent gain over last year. 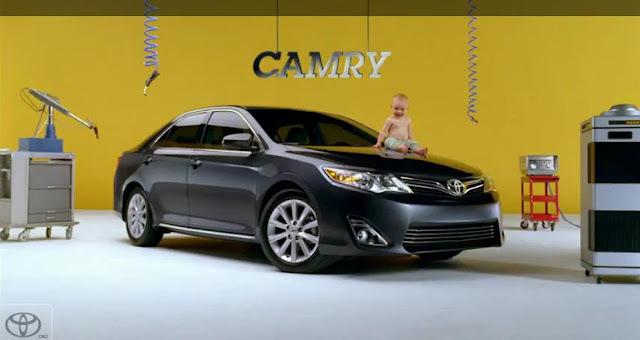 Toyota Motor Sales, U.S.A. reported December 2011 sales results of 178,131, flat compared to the same period last year. For the full year, TMS reported annual sales of 1,644,661 vehicles, down 6.7 percent from the same period in 2010 as inventory continued to recover from shortages due to the earthquake and tsunami in Japan. Chrysler Group reported U.S. sales of 138,019, a 37 percent increase compared with sales in December 2010, the group's best monthly sales since May 2008. For the year, Chrysler Group sales totaled 1,369,114, up 26 percent versus sales in 2010. American Honda reported December monthly new-vehicle sales of 105,230, a decrease of 18.8 percent on a daily selling-rate basis. 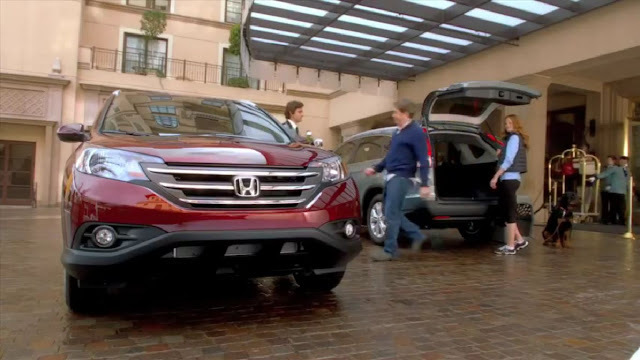 American Honda's 2011 annual vehicle sales totaled 1,147,285, a decrease of 7.1 percent compared to 2010. Nissan North America reported record December U.S. sales of 100,927, an increase of 7.7 percent. NNA finished the calendar year with 2011 sales totaling 1,042,534, 14.7 percent higher than 2010. Hyundai Motor America announced sales of 50,765 vehicles in December, a 13 percent increase compared with the same record-setting period a year ago. 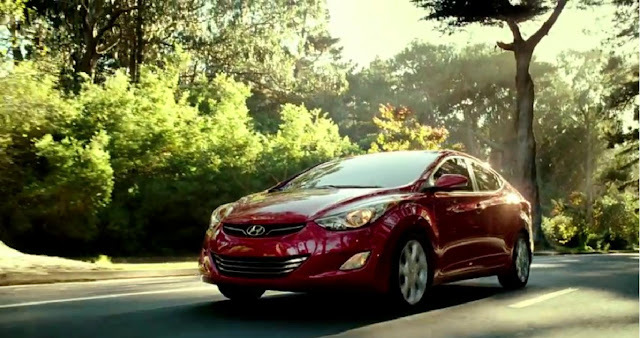 For the year, Hyundai sales were 645,691, up 20 percent versus 2010. Kia Motors America reported record December sales of 43,390 units, a 42.5 percent increase over the same period in 2010, which contributed to the Kia's best-ever full-year sales of 485,492, a jump of 36.3 percent over 2010. Volkswagen of America reported December sales totaled 32,502, up 36.2 percent over 2010, marking the best December since 1972. 2011 sales of 324,402 was a 26.3 percent increase over prior year sales. Separately, Audi announced December 2011 sales of 12,655, a 20 percent increase over the same period last year, a new all-time monthly record. 2011 sales were a record 117,561, 15.7 percent over 2010. BMW Group reported December sales of 32,545 vehicles, an increase of 17.9 percent from the same month a year ago. In 2011, the BMW Group in the U.S. (BMW and MINI combined) achieved its best sales since the record year of 2007 retailing 305,418 vehicles, up 14.9 percent compared to the vehicles sold in 2010. Subaru of America reported December sales of 33,701, a 26.3 percent jump over the same month a year ago. For 2011, sales of 266,989 represent a 1.2 percent gain over 2010. Subaru has now posted sales records in each of the past three years and Subaru is the only manufacturer in the US to have posted four successive years of sales growth. Mercedes-Benz USA reported 28,006 vehicles were sold in December, a 30.4 percent improvement over December 2010 and for the year sold 264,460 vehicles in 2011, representing the highest annual volume on record with a 17.5 percent increase over 2010. Mazda North American Operations reported December U.S. sales of 22,353 vehicles, an increase of 4.1 percent versus last year. For 2011, Mazda's U.S. sales were 250,426, up 9.1 percent over 2010. Mitsubishi Motors North America reported December 2011 sales of 5,032, up 3.2 percent from December 2010. Mitsubishi's 2011 sales of 79,020 finished 41.9 percent more than sales in calendar year 2010, its highest full-year sales total since 2008. Jaguar December sales of 1,137 was a 4 percent drop from December 2010 and for the year Jag sales were 12,276 down 8 percent. Land Rover sales were 4,743 in December, up 28 percent over the same month last year and came in at 38,099 for the year, a 20 percent increase over 2011. Combined, Jaguar Land Rover December sales were 5,880, a 21 percent gain and for the year sales were 50,375, up 11 percent over 2011. Porsche Cars North America announced December sales of 1,834, a 28.6 drop from December 2010. Porsche 2011 sales of 29,023 vehicles is a 15 percent increase over last year. American Suzuki sold 2,566 in December, a 3 percent drop from a year ago and for 2011 sold 26,619 vehicles, a gain over 11 percent over 2010.